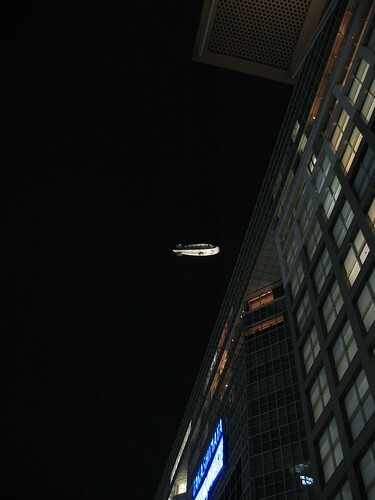 Saw a Nissen blimp moving round over Shinjuku the other night. It was was hovering over the station and had to rise quickly to get over the Takashimya building. Interestingly I haven’t previously noticed any blimps over Tokyo. I have heard the occasional Chinook helicopter, but no blimps. Maybe they are just too quiet to attract more notice, competing with the bustle of Tokyo life. This entry was posted in Photos, Travel and tagged Japan, photo. Bookmark the permalink.